If you’re a current parent and would like to share your experience with us, please add your testimonial. Today is Saturday and my granddaughter has just informed me that she’s ready to go to school! My granddaughter attends Alphabet Land Learning Center. When a four year old tells her grandmother that she is ready to go to school on a Saturday, that speaks volumes for the school. As a family we are very, very pleased with Alphabet Land. All of the staff members are EXCELLENT! They are very attentive to the needs of ALL of their students and they often go above and beyond to please the students and their parents. In addition, to the great environment the school is spotless, the meals are wonderful and my granddaughter has advanced academically very well. Hats off to Alphabet Land!!! We first started Alphabet Land when I was on bed rest with my second child. We had to move daycares. My daughter, now 4, was two at the time and she absolutely loved it! We have been going ever since and that was April of 2012. Now both of my girls are 4 and 2 and I couldn’t have picked a better day care. All of the teachers are wonderful and friendly and know my girls by name. My husband and I are so happy and grateful that we had found a wonderful daycare when we did and we are fortunate that we found this place! Now in the fall my oldest will be attending VPK here and I wouldn’t have it any other way. My four year old has been attending Alphabet Land for two years now. I am over the moon with the caring and attentive way they treat my child. All of the students there are treated as of they are their own. So when my youngest was born I was more than confident in their ability to care for my infant. Both of my kids love it there. Thank you, to all of the staff at Alphabet Land. You are doing a phynominal job! Alphabet Land has been a blessing in my life and my son’s life. I am so greatful to the owner and the employees for the patience they have with my son, who is ADHD. Alphabet Land is part of my family. I do recommend this daycare to any family. They were the only daycare that would work with my budget. That means a lot for me. They care about the kids, and to see Mercedes cry on Graduation day to see some of the kids gone means a lot to me. That’s caring for our kids. For my daughter and I, Alphabet Land is a safe place for my daughter to be and she really loves being there. I see that they treat her as a mother would treat her own daughter. I also know that they give nutritious meals, because I have seen them with my own eyes. They learn a lot in VPK. My daughter came home on the 2nd day, trying to spell her name, something I could never get her to do with me at home. I don’t even know where to start with the staff. They are very friendly, they answer all your questions, and they treat me as if I were one of their own. I have no complaints and would recommend anyone to come here. My son has been enrolled at Alphabet Land for over a year and we absolutely love it! The children are well taken care of and kept active, their lesson plans are educational and age appropriate. The staff is very caring and responsible, my son will remain enrolled in this learning center until he’s ready for school. I recommend them to everyone!! Before my kids started daycare, they were terrifies of strangers. The minute they entered Alphabet Land there was a calm about them. They didn’t want to leave just after visiting. They love their teachers and the rest of the staff. I couldn’t ask for a better place for my boys to go, not only to learn, but feel like they are part of something. 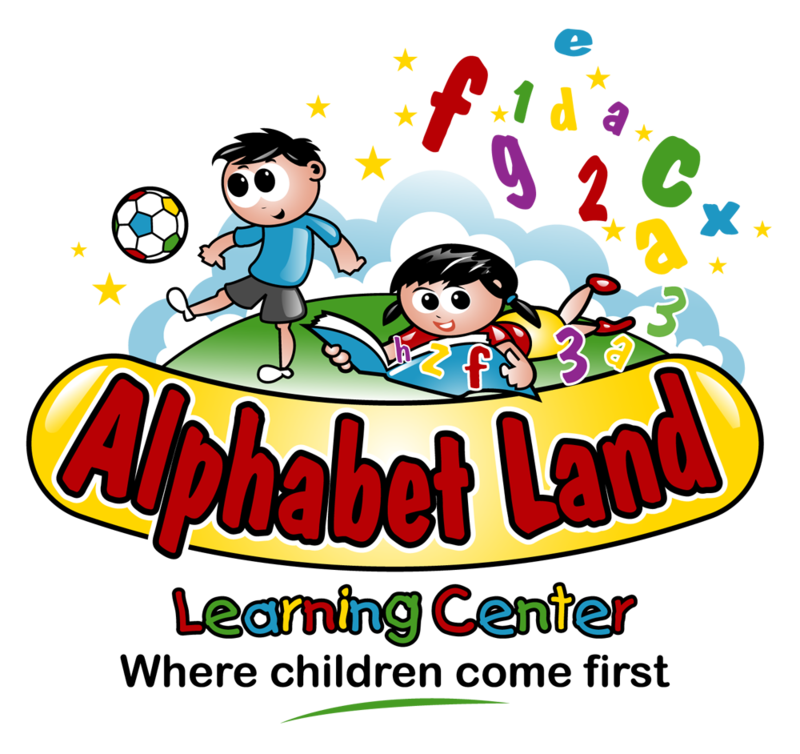 I love Alphabet Land Learning Center. I’ve had the best experience here. I’ve never had any issues with the staff. They are very professional and treat my children like their own. You guys are awesome and my 7 yr old son loves coming! He cries when I come to pick him up. This is the best experience that I have had with a daycare. It’s awesome, wonderful. I really like it and I feel very comfortable with the employees. Alphabet Land has been a blessing to my grandson. The environment in after school is energetic, organized and fun. He looks forward to his afternoons. We like Alphabet Land for the great atmosphere. They do lots of enjoyable activities with the kids during the summer and help with homework during the school year. They are very friendly and great with the kids! I have 5 children and my oldest been in Alphabet land since he was 2yrs old now he is 7. All my kids love going to Alphabet land daycare. Every time we pass by they tell me mom I want to go to daycare. This is not just regular daycare .Is family. Wow! What an amazing time in my child’s life. My daughter started VPK. Where better to bring her? Alphabet Land Learning Center has it all! First, food served here is much more healthier and edible compared to public school food. You could serve these home cooked creations on your very own dinner table. Then, the classrooms are created in an open floor plan where parents can observe their child with the teacher. No doors separate you from your child. The curriculum that is used is a private curriculum that is used to help students succeed above the Florida State Standards. Mother Goose has everything to get your child prepared for kindergarten and ready to enter first grade. While not common for every student, my daughter who has previously gone through the program is reading at a second grade level while she is in first grade. A solid foundation certainly puts a child a step ahead and ready for success. At Alphabet Land Learning Center a caring parent can be sure to get a fair price, healthy living, caring teachers, education above the standards, and the comfort of knowing your child is being cared for as if he or she is with a family member. Thanks Alphabet Land Learning Center for allowing me to earn an income without feeling guilty for using a daycare program!! My oldest daughter has been going to Alphabet Land since she was 2yr old and now she’s 9. Now my two youngest daughters also go there, have been for about a year now. I love it! !It is the perfect place to leave your kids while at work and know that they are taking good care of them and teaching them. My one year old daughter already knows how to speak alot of words and my 3 years old learned fast as well. I do recommended is the best safe place to have your kids with no worries.